Broadcasters will be asked to explain themselves over their coverage of the Christchurch terrorist attack as part of an investigation into the networks’ reporting on the atrocity by the Australian Communications and Media Authority (ACMA). The investigation will focus on the perpetrator’s live-streamed footage of the shootings that was broadcast on Australian television. Foxtel, Nine and Seven all showed excerpts from the live stream, with most clips finishing before the attacker entered the mosque. During the coverage, Sky New Zealand took its Australian news feed off-air. Originally, Sky News New Zealand indicated on Twitter it had removed the Australian feed from screens “until we are confident that the distressing footage from [the events] will not be shared”. Sky News New Zealand has since updated this tweet, however, and retracted the original statement. Paul Whittaker, CEO of Sky News Australia, has since offered his sympathies to the victims, and the country of New Zealand, and clarified the mix-up. “At this time of great sadness, I am disappointed that we are compelled to correct mistruths surrounding our coverage of the events,” he said. In addition to what was shown on television, ACMA also said it was concerned about content made available on broadcasters’ websites, saying that while sites are beyond its legislative powers, it will work with the Australian Press Council to reviewing coverage of the attack. 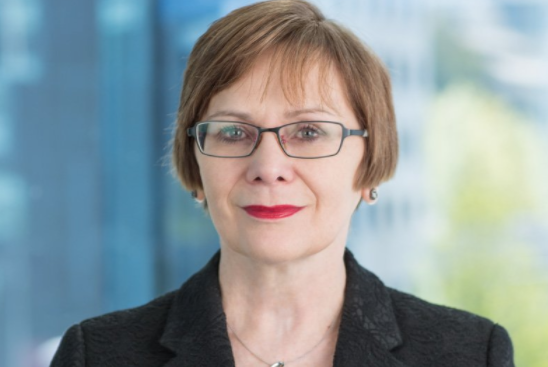 Chair Nerida O’Loughlin will also write to the CEOs of the commercial, national and subscription broadcasters requesting urgent information on the nature, extent and timing of the broadcast of content relating to the shootings, in particular from the day of the attack. ACMA also said it will request urgent meetings with the peak industry organisations—Free TV Australia and the Australian Subscription Television and Radio Association — to discuss whether current rules are providing adequate protections for Australian audiences. News Corp also made it clear it will co-operate with the investigation, but also used the opportunity to have a dig at its digital rivals. “News Corp Australia will give its full cooperation to ACMA and any other proper inquiry into the coverage of the Christchurch massacre. “This is consistent with our role as news providers that take responsibility for the information they publish and broadcast. “We also note that the organisations that allowed video of the killings to be streamed live and then failed to remove it from their platforms for many hours are not subject to the same scrutiny and have no formal agreement to take responsibility for their actions. “This goes to the fundamental problem of there being one set of rules for responsible media organisations and no rules at all for digital platforms,” the media giant said in a statement. Seven declined to comment on ACMA’s investigation while Nine had not responded by publication. On Sunday, the Prime Minister, Scott Morrison, called for social media platforms to cease their video streaming services until they could be sure of preventing content such as Friday’s live stream going to air. Seven hasn’t been sure which wave to ride for four or five years now…the best-friend-of-PH-‘let’s-catch-audience-with-the-current-right-wing-zeitgeist’ network, or the we-oppose-terror-on-both-sides channel. While it is pleasing to see white-washed, commercial TV being taught how to behave by New Zealand and ACMA, and accepting Australia is made up of more than just their extended families, they really need to get a wriggle on – times are changing fast! (1) the news media deliberately censored the news from Reuters and AAP about the massacre of 76 Christians in their church in Nigeria, 3 days before the Christchurch massacre. Please ask Fairfax, ABC, Guardian etc., why think it’s okay for black people or Christians to be massacred, and unworthy of being reported. (2) ask why the news media have placed a blackout on the fact that NZ PM Jacinda Adern blocked legislation that would have banned the guns used in the Christchurch massacre. On 5th September 2018, NZ Labour and the Greens blocked the Firearms Prohibition Orders Amendment Act 2018, by 64 votes to 56, under instructions from guess who? Jacinda Adern. Given the offender was licensed, his guns would have been taken away. But the news media are too busy sanctifying Adern to deal with the reality that she’s as cynical and manipulative as the rest of them. That lot should keep you busy. He would have had those guns regardless. Stop telling lies.